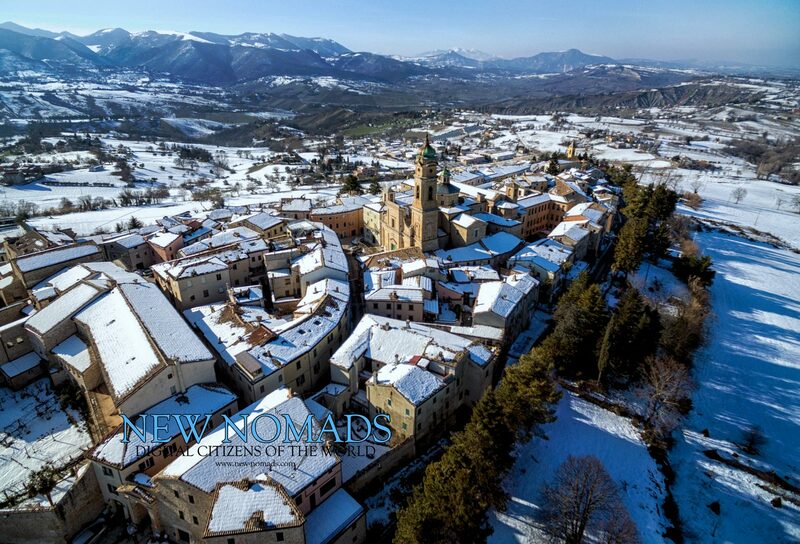 A snowy day flying the drone over the ancient village of Apiro in the Marche region of Italy. My fingers were so cold that it became difficult to land! We offer this image as a print or on a variety of other products on Fine Art America , or as a royalty-free stock photo for print and social media on Shutterstock . It is also available as a royalty-free video clip on Shutterstock.